Slip and fall accidents cause injuries that hospitalize 800,000 people per year, especially the elderly. But slip and falls can severely injure anyone. Usually, these accidents are preventable because the property owner was negligent in their maintenance of the property and failed to provide people on the property with an appropriate duty of care. If this has happened to you, a Baltimore slip and fall lawyer from Belsky, Weinberg & Horowitz LLC can help you with your claim. Proving fault in a slip and fall accident case is difficult and your choice of legal representation could make or break your case. The lawyers at Belsky, Weinberg & Horowitz LLC are experienced and talented people who have had success with slip and fall accident cases in the past. We will stand up for your rights no matter what. We’re here to represent your best interests and get viable results. How Do Maryland Slip and Fall Accidents Happen? Spills. Liquid that’s pooled on the ground is a common cause of a slip and fall accident. Unstable Staircases and Railings. Staircases that aren’t steady or the railings won’t support someone using them could cause serious fall injuries. Torn or Loose Carpets. Older carpets may have holes or tears that make tripping hazards. Any carpet that’s not anchored to the floor with a mat or tape could cause the rug to slip from under someone’s feet. Uneven Surfaces. Outside, sidewalks and parking lots should be even and free of potholes. Inside buildings should have flooring that’s stable and level. Debris or Crowded Walkways. When walkways are cluttered with trash or loose electrical wires, people can trip and hurt themselves. Inadequate Lighting. People can’t see where they’re stepping when they’re in places with dim lighting or no light at all, which can lead to slip and fall accidents. Inclement Weather. Ice and snow make sidewalks and entryways dangerous. People can slip on unsalted sidewalks or any puddles in the entryway of a property that others have tracked in. Your slip and fall accident lawyer will investigate your case and find the cause of your injury. We will photograph the scene and gather other evidence like medical records, video of the accident, eyewitnesses, and safety protocols of the property to prove negligence. What Are Common Slip and Fall Injuries? Brain and Head Injuries. Traumatic brain injuries can have permanent effects on someone’s ability to make decisions or communicate. Head injuries like concussions can cause the brain to swell and need immediate medical attention. Neck and Spine Injuries. Broken vertebrae can cause paralysis or other disabilities. Hip Fractures. Older people are susceptible to hip fractures from slip and fall accidents. It’s more difficult for seniors to undergo operations and recover from a major injury. Broken Bones. People can break arms or legs in slip and fall accidents that affect mobility. Minor Injuries. It’s common for people to try and catch themselves when they fall, which can cause bruises, cuts, and sprains. Major injuries can also affect someone emotionally, like developing depression or anxiety. These illnesses also need medical treatment and could take a long time to heal. What Can You Recover with a Slip and Fall Accident Claim? Medical Expenses. Your past medical expenses could include visits to the hospital, tests, and prescription medication. Your compensation could cover those costs and the future costs that you will need for your recovery, like physical therapy or rehabilitation. Lost Wages. Your slip and fall injury could have kept you from working, which you can get compensated for because the accident wasn’t your fault. Loss of Earnings. Unfortunately, your injury may prevent you from returning to your job in the future. Your compensation could help cover what you would have earned if you were able to return to work. Pain and Suffering. Your injury may cause a considerable amount of pain, which was caused by another’s negligence. Keeping a log of what you feel or the difficulty of accomplishing everyday tasks after your injury could help show how the injury has affected you. Some slip and fall accidents can be fatal. If you’ve lost a loved one in a slip and fall that wasn’t their fault, you can get justice for them. Belsky, Weinberg & Horowitz LLC knows how painful this can be and how stressful it is to lose a loved one who also provided financially. We can help you with your wrongful death claim. 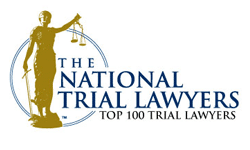 What Is the Statute of Limitations for Maryland Slip and Fall Accidents? If you’ve been injured on someone else’s property, you have a certain amount of time to file your claim. The statute of limitations in Maryland states that you have three years from the date the injury occurred to file your claim. But the property also changes the statute of limitations. For instance, you may have a slip and fall injury in a government building or on city property. These cases are different from a slip and fall case in a business. A case against government property needs to be brought within one year of the incident. You risk getting your case thrown out if you come forward after the statute of limitations has passed. It’s essential to contact your slip and fall attorney so you can get started on your case as soon as possible. You also want to have the details fresh in your mind so you can give an accurate description of what happened and how it’s affecting you. How Can a Baltimore Slip and Fall Attorney Help You? In Maryland, a person who was injured in a slip and fall accident may not get compensation if they were partially responsible for the accident, which is called pure contributory negligence. This would prevent them from collecting damages if they were found to act irresponsibly or inappropriately and caused their own injury. It’s imperative to have a reliable lawyer at your side who will be able to prove the other party’s full negligence. Belsky, Weinberg & Horowitz LLC will look at every aspect of your case before determining your best course of action. You can have peace of mind that experts who are representing you are going to make sure your voice is heard. You don’t have to worry about intimidating or harassing calls from insurance companies that are trying to get you to settle for less than you deserve. Your lawyer can be the main point of communication with anyone involved in the case. If you’ve suffered from a slip and fall injury caused by someone else’s negligence, call us today at (800) 895-5333 to set up a free consultation of your case.